Evidence suggests psychopathic traits might confer an advantage in the world of work. Could we all learn some lessons from Hannibal Lector? Psychopaths. We’d all like to think we could spot one. Films such as American Psycho, We Need to Talk About Kevin and The Silence of the Lambs have fuelled stereotypes about how a psychopath looks and behaves: the crazed, axe-wielding lunatic to be avoided at all costs. But new research suggests psychopathy might be more prevalent than we think, and could actually be helping people get ahead in the corporate world. Data compiled by Dr Paul Babiak, author of Snakes in Suits, indicates at least one in every 25 bosses is a full-blown psychopath, with many others exhibiting psychopathic traits. Research is still in its infancy, and figures could be much higher. In his book The Wisdom of Psychopaths, Professor Kevin Dutton proposes that the defining characteristics of psychopaths, such as fearlessness, confidence, charisma and ruthlessness, ‘confer considerable advantages in the workplace’. The American Psychiatric Association defines psychopathy, a personality disorder, as a ‘pervasive pattern of disregard for, and violation of, the rights of others that begins in childhood or early adolescence and continues into adulthood’. It might be hard to believe that this characterisation – which has been identified in criminals such as Ted Bundy and Charles Manson – could accurately describe some of the world’s most successful businessmen and women. But closer inspection of psychopathy shows it is not such a black and white phenomenon. Psychopathy is in fact a spectrum disorder, meaning there are varying degrees of it. In fact, most of us possess characteristics of the disorder. And that’s not such a bad thing: these can actually be very useful when it comes to getting to the top of the corporate ladder. In 2005, researchers Belinda Board and Katarina Fritzon evaluated the mindset of business leaders, compared to psychopathic criminals. They found that the former displayed more psychopathic traits than their criminal counterparts, such as superficial charm, egocentricity, lack of empathy, independence and focus. These qualities may sound unappealing in isolation, but can be very helpful in a number of business contexts. What particularly aids psychopaths in a work environment is their lack of emotion in decision-making. Neurological evidence discovered by James Blair suggests that psychopaths have a dysfunction in their brain’s emotional centre, the amygdala. It is this flaw that allows them to make objective and logical choices in situations that the rest of us would find difficult to tackle – for example, in making large job cuts. They are totally insensitive to emotional factors in decision-making. That is not to say that psychopathic traits are always helpful at work. Dutton describes them ‘as the dials and sliders on a studio mixing desk.’ When cranked up to the max, they can be detrimental to workplace performance and psychopaths may even have to use threats, intimidation and violence to achieve their goals. Psychopaths’ extreme confidence can also help them get to the top, but does not always justify them being there. What has commonly been found is that psychopaths are efficient at blagging their way up through company ranks. Their skill lies in conversation: convincing others they know what they’re talking about, even when completely out of their depth. They are astute at maintaining executive positions in spite of poor performance reviews and troubling company figures, coasting on confidence alone. 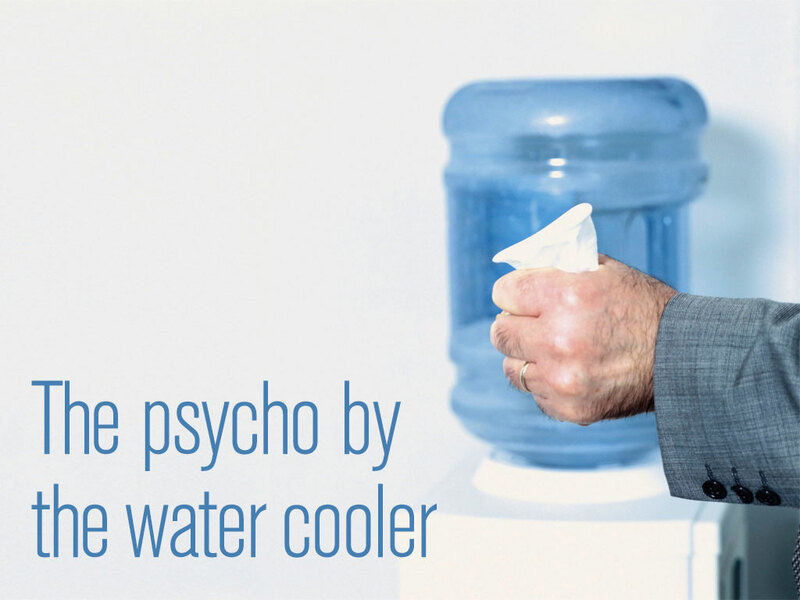 A psychopath’s fearless and impulsive approach may also put them at a disadvantage. Researchers have found that psychopaths not only have a low-fear response to alarming situations, but are even calmed by them. In the 1980s, Professor Stanley Rachman studied bomb disposal operatives with high and low levels of psychopathic traits. He found that the operatives with the highest psychopathic profiles had decreased heart rates when disposing of bombs. Psychopaths’ abnormal anxiety responses present a real problem in situations where caution is needed at work. For example, when it comes to investing vast sums of money or making decisions that affect many people. The truth of the matter is that a little bit of psychopathy goes a long way. When harnessed correctly, traits that are highly correlated with psychopathy such as confidence, focus and fearlessness can propel individuals in stressful, fast-paced corporate environments. But it’s a delicate balance. Experts are united in the opinion that the borderline between functional and dysfunctional psychopathy hangs, not on the presence of psychopathic traits, but on their levels and combination. With a hint of madness, evidence suggests we could all go far in the world of work. Too much of it, and we’re as detrimental to the world as Ted Bundy.